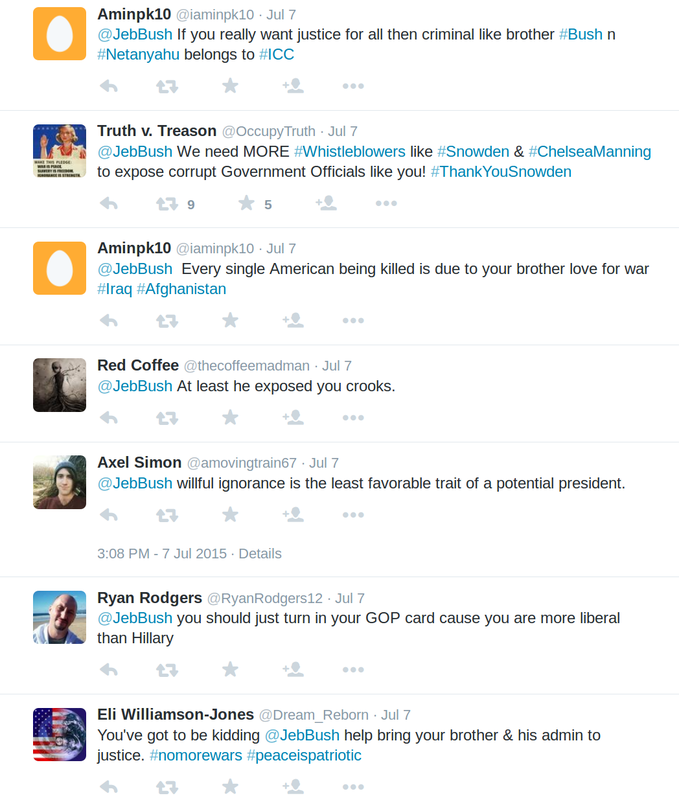 Two days ago Glenn Greenwald himself had shared a link to a 10,000 word transcript of an hour-long interview I gave about my recent Snowden articles. 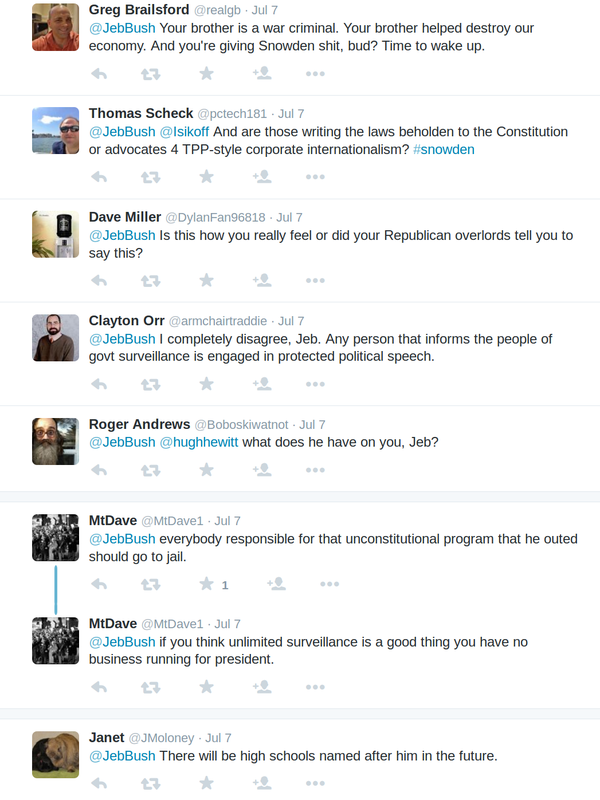 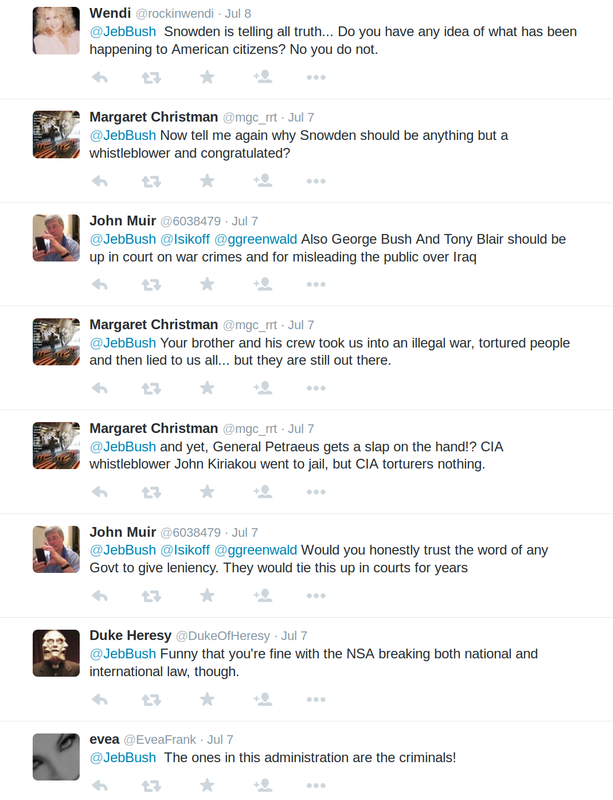 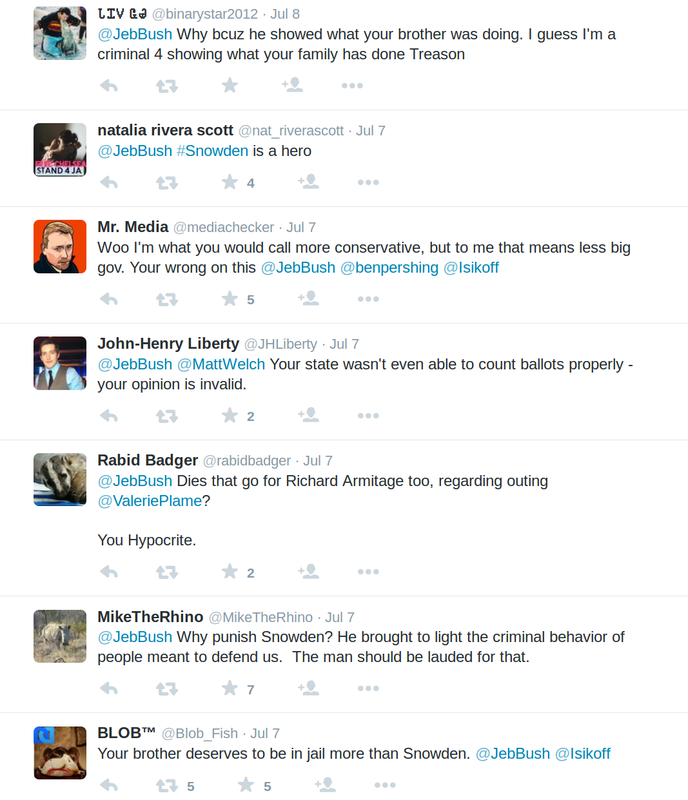 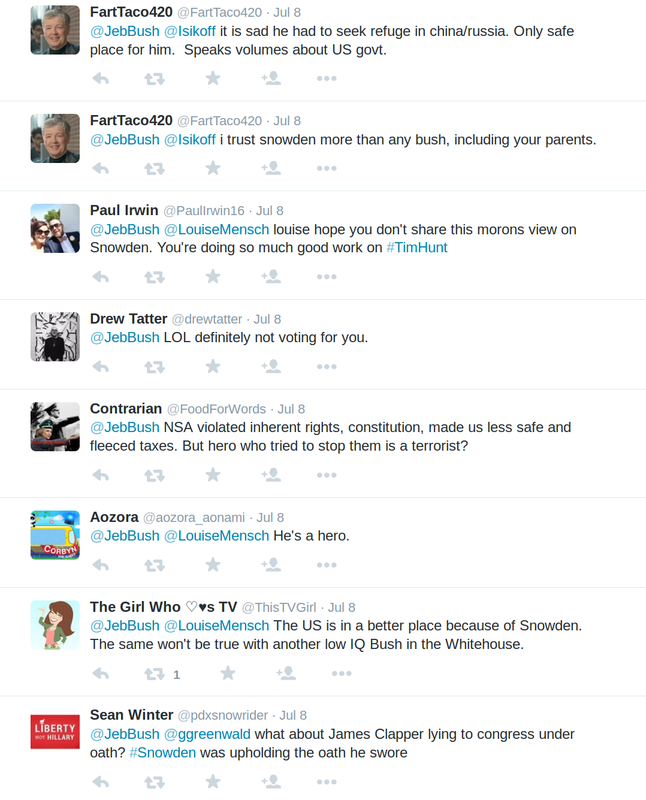 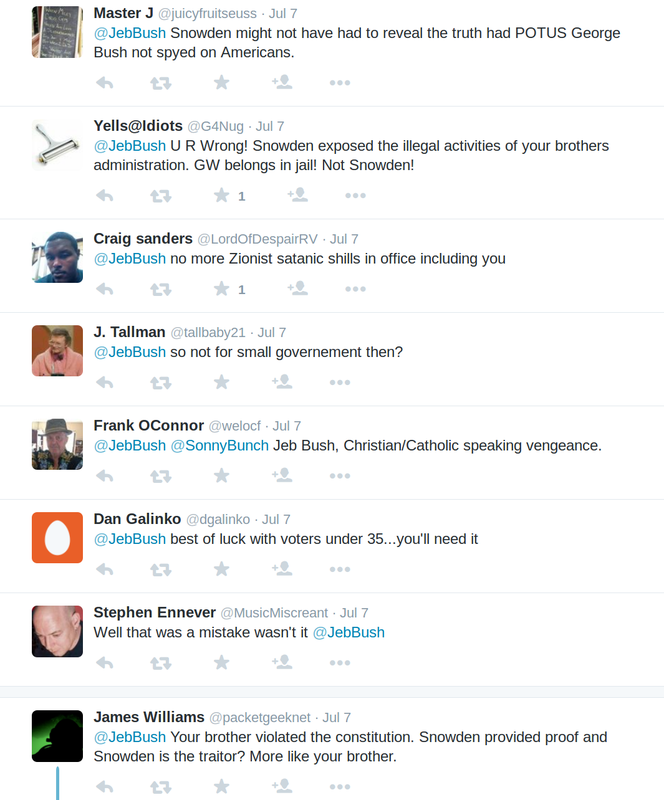 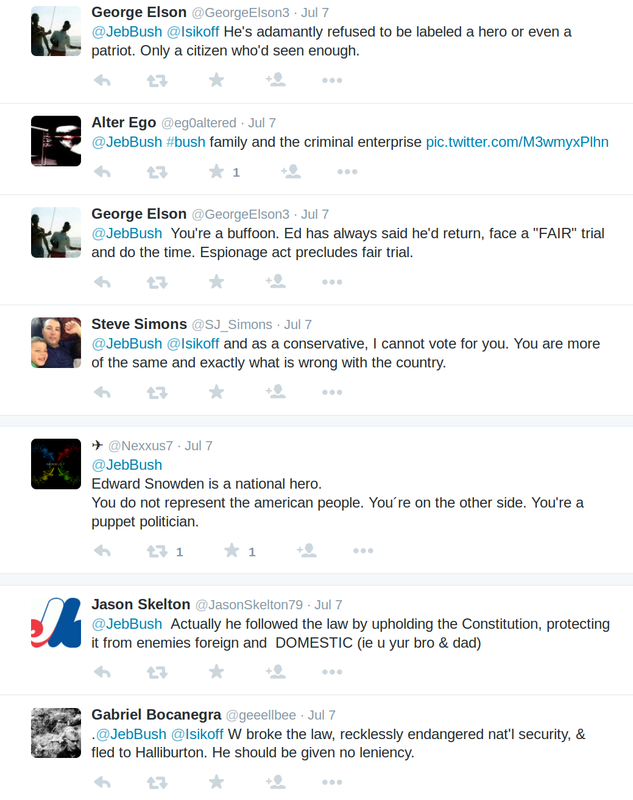 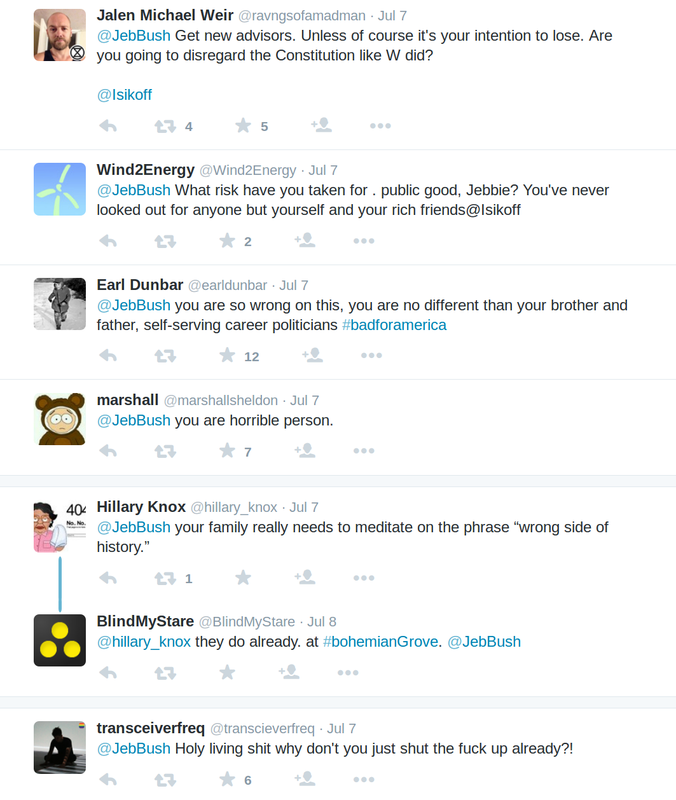 Reading through the comments on Jeb’s tweet I realised the situation really has changed for Snowden. 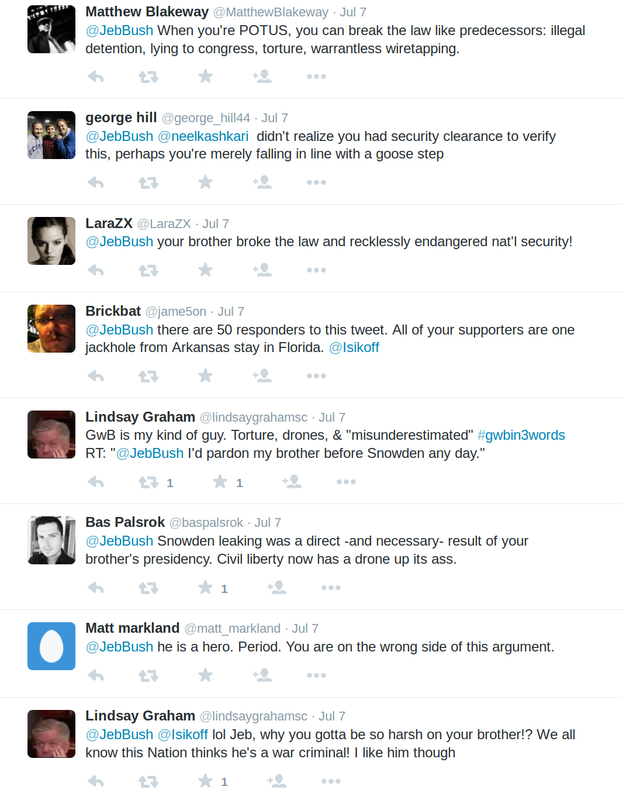 As such, I don’t need to write any more words to complete this article. 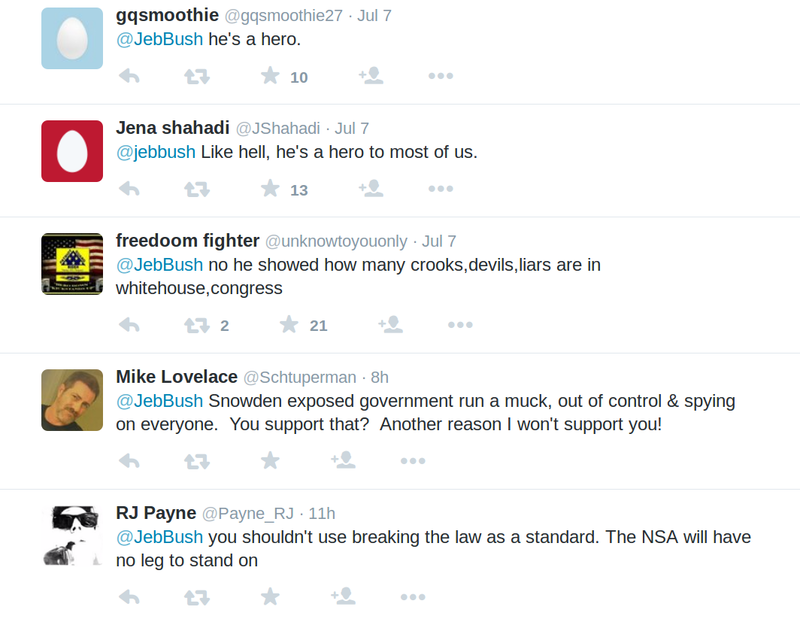 The people have spoken. 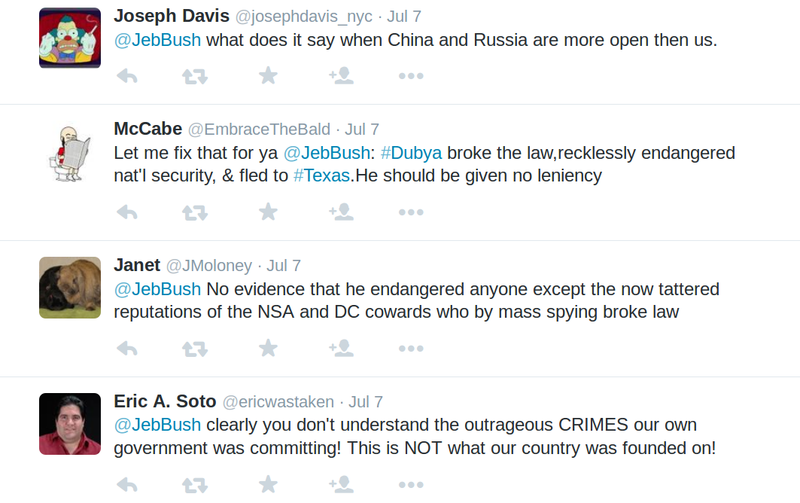 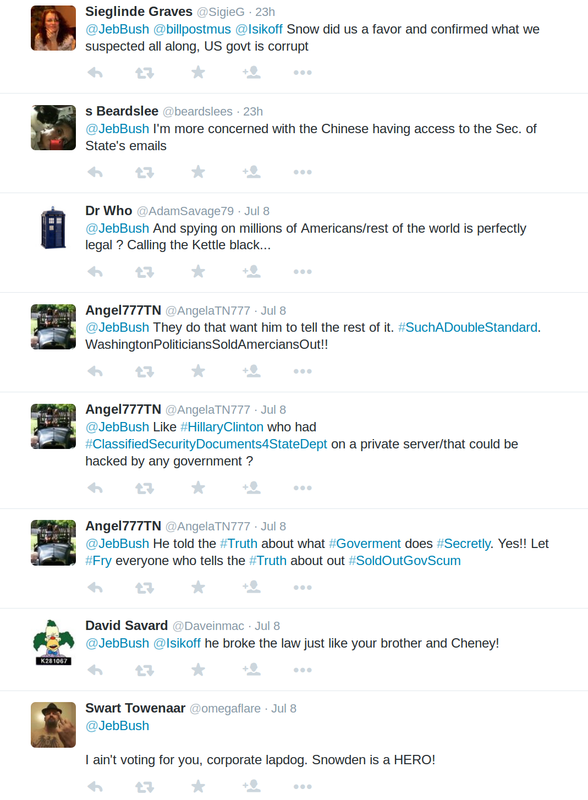 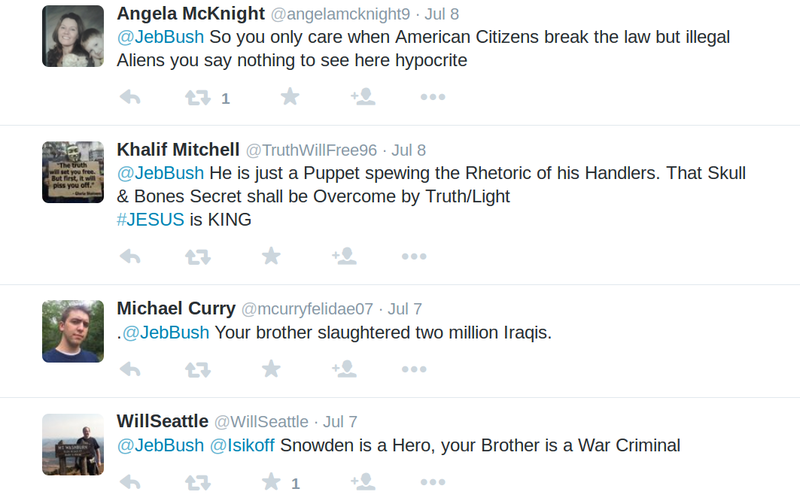 This entry was posted on July 9, 2015 and tagged Edward Snowden, Glenn Greenwald, Jeb Bush.